Can you use sunumbra® on babies? What is a 5 star UVA rating, whose standard is it and what does it mean? I have a very sensitive skin. How suitable is sunumbra® for those with sensitive skins? Would it be possible to get a full ingredient list? Could you provide me with any backed up reassurance in regard to your 5 star UVA rating? Please advise why you have used dimethicone? How suitable is sunumbra® sunscreen for Skiing and Winter Sports? Does your product have an expiration date? If so, how long is it? What are the shipping costs, for 1 or 2 tubes? How exactly do botanical extracts work as sun filters? Titanium Dioxide refracts sunlight How does Zinc Oxide work as a sun filter? I have found that after a while there is sometimes a small, pale residue on my skin, and particularly in my case, it settles in the lines (of my wrinkles J). Is this the zinc oxide? 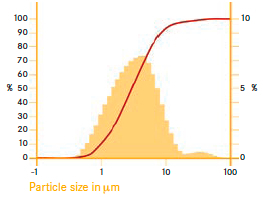 Is the zinc oxide dimethicone in sunumbra® in nano particle form? Please can you tell me if sunumbra® is safe for cats? Why is Titanium Dioxide not the best choice for a physical sunblock? Is sunumbra® safe to use during pregnancy? What is your policy on 'Cruelty to animals'? What can I do if I'm Allergic to sunscreen? My daughter, who tans readily, looks like she has developed an allergic reaction to sunscreen. She has blotchy, itchy areas where the sunscreen was applied. We also tried a zinc-based product from the health food store with no added chemical sunscreens but that also caused blotchy, itchy areas. What can I advise her to do now? Do you have a question or perhaps wish to make a comment or even tell a story about an experience with sunscreen? Please share it! Others will benefit and may join the conversation. Your question or comment will appear on a Web page exactly the way you enter it here. You can wrap a word in square brackets to make it appear bold. For example [my question or comment] would show as my question or comment on the Web page containing your question or comment. Can Sunumbra be used under foundation makeup? Thank you. What is the difference between NANO and Micronised? What is the definition of NANO size? Okay to use on my face? Do you sell your products in stores in the US? Can I use your sunscreens if I'm allergic to aloe Vera gel? Q. where can I find Sunumbra sunscreens ? 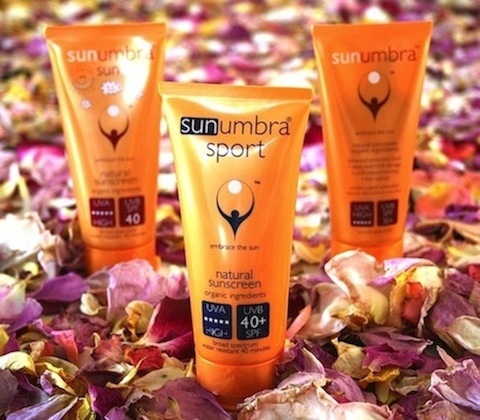 A. Sunumbra sunscreens are for sale via the web site only, apart from Southern Africa. I live in Thailand. Do you sell your products in Asia or Australia? Hi, Can you please tell me where in Canada I can purchase your products? Thanks! Moisturiser as well as sunscreen? Is it possible to obtain samples of your products? How many ounces per tube? Id like to know how many ounces are in each tube? What are the mg of zinc oxide in each product? Please provide Critical wavelengths and UVA PF's for Sunumbra? Could you please provide your UVA-PF and Critical wavelength measurements for your sunscreen? How much is enough for protection? What % of Active ingredients are in each product? Is Sunumbra Non-whitening on a dark skin? I wanted to know if your product is non-whitening? I have brown skin so any whitening will show up on me. Is Sunumbra good for Acne sufferers? "I recommend choosing a "physical" or "chemical-free" sunscreen made with zinc oxide or titanium dioxide. I also suggest you keep a baby younger than 6 months out of the sun altogether whenever possible. When that's just not practical, be sure to protect your young baby with sunscreen. Unlike chemical sunscreens, which may cause irritation or allergic reactions because the skin absorbs the active ingredients, zinc oxide and titanium dioxide sit on top of the skin, forming a barrier against the sun's rays.Besides the increasing evidence that chemical sunscreens are dangerous or toxic, we just don't know enough yet about how young children react to the ingredients. Also, sunscreens with zinc oxide or titanium dioxide start protecting as soon as you put them on, whereas chemical products need to be slathered on 15 to 30 minutes in advance so the skin has time to absorb them." Pediatrician Jerome A. Paulson, MD, FAAP, medical director for national and global affairs at the Child Health Advocacy Institute of Children's National Medical Center in Washington, D.C., was asked this same question by WebMD. Their top recommendation was to choose a sunscreen that contains zinc oxide or titanium dioxide, because the compounds are less irritating than others and do not get absorbed into the skin. "These ingredients are probably the safest ones out there right now." Paulson says. These opinions both concur with many other pediatricians and dermatologists, as well as the EWG (Environmental Working Group) who have done considerable research into the health of the ingredients used in sunscreens. So, my answer where sunumbra® is concerned is that it is perfectly safe to use on infants older than 6 months. IF, and only IF, you need to use a sunscreen on a child younger than 6 months, it is one of the safest available out there. However, it is universally agreed that using sunscreen on a child younger than 6 months is not advised. sunumbra® sunkids formula has an additional ingredient of Astaxanthin, which helps boost the baby's own natural system with the ability to combat potential damage from the sun. As a free radical scavenger, astaxanthin is 65 times more powerful than vitamin C, 54 times stronger than beta-carotene, and 14 times more potent than vitamin E.
A "Boots Star" rating is one of the international measures used by sunscreen manufacturers to certify UVA ray protection levels. The usual SPF we all know is the measurement for UVB ray protection only. Global health organisations are pushing for protection at sufficiently high levels for UVA as well as UVB protection, as the UVA rays, being much longer than UVB rays, can create deeper level damage to your skin. Boots Star is UK in origin and they measure from 1 to 5 stars, where 5 is the highest level attainable. I have a very sensitive skin. How suitable is sunumbra for those with sensitive skins? sunumbra® is designed especially to be able to cater for all skin types by not only being free of toxic ingredients, but including ingredients that are healing, boost the health of the skin and are calming. But we have gone further than this and created a sunscreen specifically for children, which is more alkaline. This is also sometimes preferable for adults with sensitive skins. We have tested both very specifically on those who normally suffer side effects from the chemical based sunscreens. These side effects usually include skin rashes or even pimple outbreaks, a flushed effect and a reddening of the skin. We have had numerous positive feedback emails to affirm sunumbra® does not produce these sort of effects, but welcome more feedback from people such as yourself. The full ingredient list is actually on the website here. If you click on each ingredient you can obtain more detail on every one of them. The tests done on sunumbra® and ultimate certifications were through the Photobiology Laboratory at The Medical University of SA, for both the SPF (UVB) as well as the UVA(5 Stars). They use the equivalent of the Diffey/ Boots Star system for the UVA, which is one of the UVA testing systems being used globally. We wanted to obtain UVA certification and decided to go with this one, as it appeared it would align not only with the UK and the EU but also with what the US were talking about doing, although they have now backed down and only require a sunscreen to say it is broad spectrum. Doctor Beverley Summers, who heads up the Photobiology Laboratory, also sits on a global body called the "International SPF Harmonisation Group & ISO" who continually look at ways to keep global sunscreen certification in harmony. Some of our sunscreen formulas use zinc oxide with a dimethicone coating. Where the oil/water ratio is such that we don’t require it, we use an uncoated zinc oxide. As such, we do not use dimethicone as an emollient, but rather as a hydrophobic coating of the Zinc Oxide particles. Effectively this means that it sits on top of the skin and does not penetrate, as well as providing plenty of space for the skin to breathe. Ie. The opposite of the effect of an emollient. Visualize a whole lot of different size balls bundled up and sitting on your skin, and although all touching, there are spaces through which the skin will breathe. It is not sitting on your skin like a layer of plastic, which would be the effect of it being used as an emollient. In the overall formula, its' presence is 0.28%, which is miniscule. Also, from a bio-degradability perspective we understand it to be inert when bio-degraded. "...the CIR Expert Panel was of the opinion that...Dimethicone...is safe as used in cosmetic formulations". A key element in our formulas, is that only a tiny proportion is used, together with the fact that it stays coated to the Zinc Oxide particles and therefore remains on top of the skin in such a way that the skin can breathe. sunumbra® provides high protection from both UVA and UVB rays. Most sunscreens don't offer this protection as they protect only against UVB. This means that you are only protected from getting a sun burn, and you are not protected from getting skin cancer or premature aging of the skin. Those that do provide UVA as well as UVB do not often stipulate the level of UVA protection. At higher altitudes you have more direct exposure to the sun simply because you are physically closer to it. This is why it is important that you select a sunscreen that offers a higher SPF protection. SPF30 is considered high enough as it provides 97% UV protection. SPF60 provides for 98%. No sunscreen provides 100%. It is also important that when you go skiing you remember to moisturize. Air tends to be drier at higher altitudes and this will have an impact on your skin since dry skin burns faster than moist skin. sunumbra® has excellent moisturizing qualities as well as a natural boost to the skins own abilities to protect itself from damaging UV rays. sunumbra® is photo-stable, meaning that it doesn't degrade when it comes into contact with the sun. sunumbra® is tested and approved as being water resistant for 40 minutes. Many other sunscreens claim to be water proof, in which case they tend to clog the skin's pores and not allow them to breathe. The general rule here is if wiping off sweat or snow or sleet, make sure to reapply your sunscreen. The shelf life of sunumbra® products is 24 months. Each production run has the relevant expiry date stamped on the tube. The principle method of their operations is as an antioxidant, preventing burning where burning is oxidation. It is more probable that there are many reasons that we are not aware of it's just observing the results. The work that we have done at Natural Suncare is pioneering in this area. Titanium Dioxide is the most opaque substance known to man - that we are aware of -and as such predominantly reflects light rather than refracts light. Zinc Oxide's action is the same as Titanium Dioxide, but being slightly less opaque will reflect slightly less in comparison. This is most definitely the Zinc Oxide, being the one substance that does not penetrate the skin, but is also likely to be combined with some of the botanicals. Is the zinc oxide dimethicone in Sunumbra in nano particle form? We have looked into the various arguments around nano particles and realise this will be a concern for many people who do take the time to read up about the various things they are putting onto or into their bodies, and hence take it very seriously. The Zinc Oxide we use is actually defined as 'micronised' as opposed to nano, but in the end it all comes down to actual size and what it will do on your skin. Remember, the main objective of using Zinc Oxide is as a sun reflective and thus it needs to stay on the skins' surface. Thus the objective here is also to make sure it doesn't penetrate the skin. Compared to the organic chemical sunscreens, the size of the micronised Zinc Oxide particles are huge, and in comparison does not penetrate the skin at all. Also, we chose to use Zinc Oxide that is coated with dimethicone, which in itself makes the particles larger and less able to penetrate the skin. For this reason, combined with the historical evidence of its healing qualities, we chose to go with Zinc Oxide. "There is evidence from isolated cell experiments that zinc oxide and titanium dioxide can induce free radical formation in the presence of light and that this may damage these cells (photo-mutagenicity with zinc oxide). However, this would only be of concern in people using sunscreens if the zinc oxide and titanium dioxide penetrated into viable skin cells. The weight of current evidence is that they remain on the surface of the skin and in the outer dead layer (stratum corneum) of the skin." I have not yet heard anything more elaborating further on the "isolated cell experiments" mentioned above. "In early 2009, the Therapeutic Goods Administration (TGA) conducted an updated review of the scientific literature in relation to the use of nanoparticulate zinc oxide and titanium dioxide in sunscreens"
To date, the current weight of evidence suggests that titanium dioxide and zinc oxide nanoparticles do not reach viable skin cells; rather, they remain on the surface of the skin and in the outer layer of the skin that is composed of non-viable cells. The TGA is continuing to monitor the emerging scientific literature to ensure appropriate action is taken should any tangible safety concerns be identified. Please see a recent report on "Scientists use laser imaging to assess safety of zinc oxide nanoparticles in sunscreen"
The bottom line is that sunumbra® particle sizes are much larger than the defined nano sizes and so will stay on the skin surface. Your cat won't react badly to the ingredients as it is such a small amount. The only thing one has to be wary of consuming in large amounts is the Zinc Oxide ie. if one ate the whole tube you wouldn't really feel too good! sunumbra®contains Kigelia extract (sausage tree) as well, so she will benefit from that anyway, but she will also benefit from all the other skin healing ingredients. As I am sure you have for your upper lip which was very good to know! The trick is to get sunumbra® to absorb and that will relate directly to how long you keep her from licking! Where sun protection is concerned, the ZnO stays on the surface, so when she licks it off the protection will be gone. Worth a try, but am not sure how effective! I am very keen to get pigs to use sunumbra®as they burn very easily and apparently have all sorts of problems but so far I haven't had a response from the few farmers I have sent messages to. Better than the chemical stuff they currently put on I am sure, but perhaps a bit too expensive? As a sunscreen spray it is definitely not a good idea. There was a Swiss study done (1) that likened titanium dioxide to asbestos was referring to its toxicity when inhaled. This is only a threat when it is in sunscreen sprays, not creams. When it come to the environment, Zinc Oxide is considered to be environmentally safe, whereas Titanium Dioxide presents many biodegradable toxic queries. The US Environment Protection Agency issued a paper on the water quality criteria for zinc where aquatic life is concerned. They conclude most zinc introduced into aquatic environments attaches to other oxides, clay, and organic materials and settles into the sediment. The product itself and its products of degradation are not toxic. Other forms of zinc, however, are soluble and potentially toxic, but not zinc oxide. Titanium dioxide doesn't protect from the sun's UVA rays as well as zinc oxide does. Ultrafine titanium dioxide particles can induce oxidative damage to human bronchial epithelial cells. sunumbra® products are 100% gluten free. They are also manufactured in an eco-certified laboratory which is entirely gluten free and smells delicious when you walk into it as there are no toxic chemical smells! Just wonderfully aromatic essential oils, botanical ingredients and pure oils. Our sunscreen formulas are designed to be 100% free of harmful chemicals. The key objective for me was to create a sunscreen that would enable us to protect ourselves from the sun's UVA and UVB rays while not contaminating our bodies with bad chemicals. The sunscreen active ingredient is Zinc Oxide and this is, I believe, by far the safest option available to us of all the approved sunscreen ingredients. As a physical block, it sits on your skin and reflects the sun's rays, rather than being absorbed by the skin as the other chemical sunscreen actives do. In addition to this, we have used botanical ingredients that add to the sun protection as well as provide the body with a significant antioxidant boost. In fact, all the ingredients used provide the body, or skin, with direct benefits. They are not present merely as a filler, or to counter-balance some chemical ingredient, as we have found is often the case with other formulas. So, to answer your question - I believe that sunumbra® sunscreen will not only provide you with safe sun protection, but will provide you with added antioxidant qualities that can only benefit you and your baby too! We are very conscious about not testing our products on any animals apart from us humans of course in the certification in-vivo process. We do, however, have our products being used on some animals for protection from the sun's UV rays. These include baby elephants and baby hippos, pigs and horses when they have sunburn issues. Even some cats - on their ear tips. Beyond this, we are committed to ensuring that all our individual ingredients do not use animals during the testing of these ingredients in the laboratory. It is also our policy not to source any ingredients that are derived from animals or insects eg. bees wax. Sunumbra Products Animal Testing Policy. The two conditions may be hard to tell apart, but the difference is important in determining how to test for a sunscreen allergy. If you suspect you have a sunscreen allergy, see a dermatologist or an allergist. Your doctor can perform a patch test to figure out exactly what's causing the reaction. For a contact allergy, the patch test probably will be done without ultraviolet light first; a photo-allergy patch test will be performed in combination with exposure to ultraviolet light. If you are allergic to a specific chemical in a sunscreen, your doctor can help you find one which doesn't contain that chemical. Physical sunscreens are not known to cause allergic reactions, so are typically recommended by doctors to those who have an allergy or suspect they have one. People commonly develop contact allergies (rashes in response to things that are put on the skin) to several ingredients included in sunscreens or cosmetics. Also, it's possible to develop a "photo-contact" allergy to some ingredients, which is a reaction that occurs only after the skin is exposed to UV light. Lastly, one can even develop rashes in response to sunlight alone, unrelated to any products at all. Are there any ingredients, active or inactive, that are common to the sunscreens reacted to so far? Anna Feldweg, MD, a clinical instructor of medicine at Harvard Medical School and an attending physician in allergy and immunology at Brigham and Women's Hospital in Boston.